There’s no denying that buy local groups can – and do – enhance a community. In communities across the country, these groups of small businesses provide a framework for promoting the buy local movement on a local level, spreading the word about their local business members and educating consumers on the difference that buying local makes. For small business members, these groups can often provide a wealth of resources, but it’s up to the member to take advantage of all the perks. Year after year, the Institute for Local Self-Reliance’s annual Independent Business Survey has found that buy local groups have a positive impact on their members. For instance, the 2016 report revealed the two-thirds of businesses in such buy local groups have noticed the positive impact of their membership. For these businesses, participation in the buy local group has brought new customers, increased customer loyalty and more supportive public officials. It makes sense why buy local groups would have such a positive impact. In many cases, they’re managed by a group of dedicated local business owners who already understand the need for their work. In other cases, they’re run by dedicated consumers or buy local experts. Either way, they often offer several different ways for members to get involved, from attending a networking event to advertising in local publications. Members have access to these perks by paying dues or otherwise supporting the group, and the buy local group usually does all of the work in securing and organizing these opportunities for members. Ultimately, though, the opportunity is only as good as the businesses that decide to take advantage of it. One of the most widespread benefits of buy local groups is that many have their online directory of members. These directories help consumers in the community find local businesses, and they give local businesses a more robust online presence. At their most basic, these directories typically include a business’s name and a link to its website, but some directories may allow members to customize their listing. For instance, Independent We Stand’s local business search allows premium members to add photos, product descriptions, coupons and links to social media profiles. Data overwhelmingly shows that consumers search for local businesses online before shopping, so it’s always in a member’s best interest to fill out a directory listing with as much information as possible. 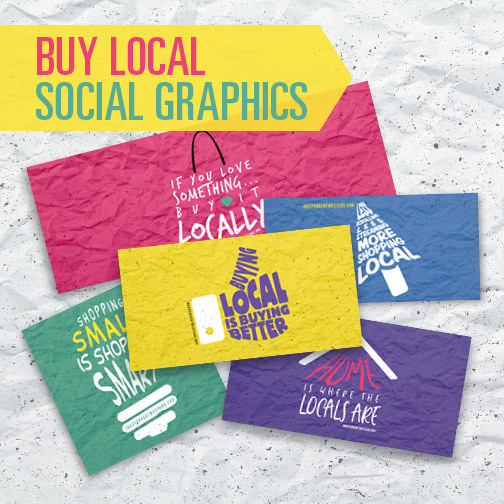 Buy local groups are all about highlighting their members – so offer your group something to highlight. Are you working with a local charity? Has your business grown recently? Your story could turn into a guest blog post on the group’s website, a post on the group’s social media channels or a feature in the group’s e-newsletter. 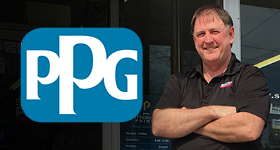 Keep the group updated about your business so that it can help to spread the word around town and online. Buy local groups don’t just allow businesses to reach consumers, but they also foster business-to-business relationships in a community. Many local business groups offer networking events or workshops where members can come together in person to get to know each other and learn something new. Chances are, you already know plenty of other local business owners in the community, and you may even work with them professionally. 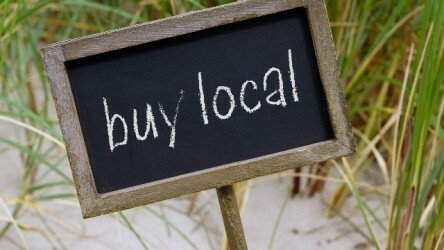 Add to that ever-important network by getting to know new and existing local businesses through the buy local group. If some of those local business owners in your network don’t participate in the buy local group, invite them in. With each new member, buy local groups can develop more resources, reach new industries and source new ideas for events and campaigns. Just as the group can help your network expand, it’s important to help the group’s network expand, as well. The buy local group will work to educate as many consumers as possible about the benefits of supporting independent businesses – but there’s no such thing as too much awareness. Telling your customers about the group can help the group’s work go even further. Some groups have consumer memberships and discount programs for participating shoppers, while others focus on reaching consumers through social media. Whether you share the group’s Facebook content or collect emails from interested customers in your shop, members are a key part in the group’s outreach efforts. If you’re not already involved in a buy local group, check with your local chamber of commerce, or search for an affiliate of the American Independent Business Alliance or the Business Alliance for Local Living Economies near you. You can also learn more about the benefits of an Independent We Stand membership. Read more about American Independent Business Alliance, buy local groups, small business advice.